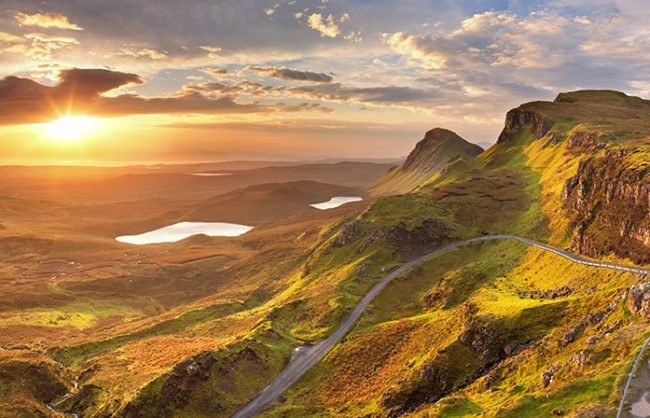 Isle of Skye – The Great Canadian Travel Co.
Let your imagination go wild as you spend three days venturing through history, visiting castles, charming villages all the while taking in the beautiful misty landscape that is the Isle of Skye. 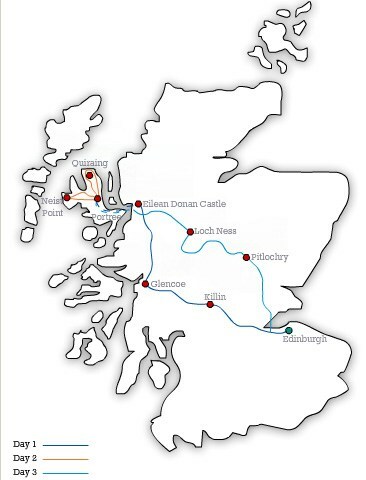 Passing by the battlefield of one of Scotland’s most important battles, you will gaze upon Stirling Castle, the Wallace Monument and Coune Castle; stopping only for refreshments in Callander. Travel past the beautiful landscape surrounding Loch Luibnaig and up to the Rannoch Moor. This area boasts lochans (a small inland loch), rivers, and rocky outcrops – a prime habitat for many birds, plants, insects and various animals such as curlews, grouse, and red deer. Be impressed by the mountain pass of Glencoe as your journey takes you through to the scene of the great massacre of the Clan Macdonald in 1692. 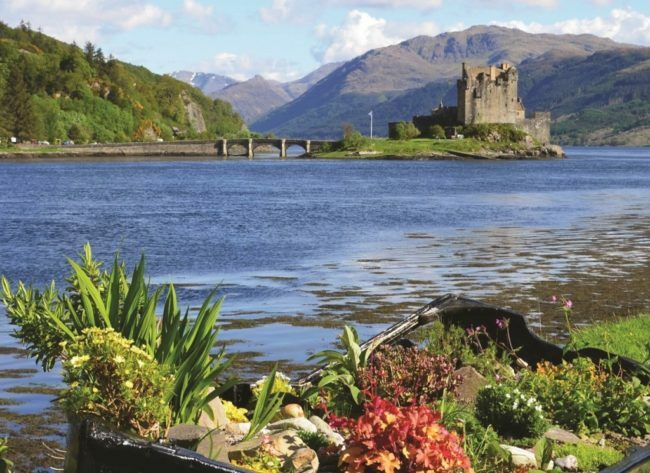 After lunch, look up at Britain’s highest mountain, Ben Nevis, and then head into the Great Glen where you will pass by the Five Sisters of Kintail. 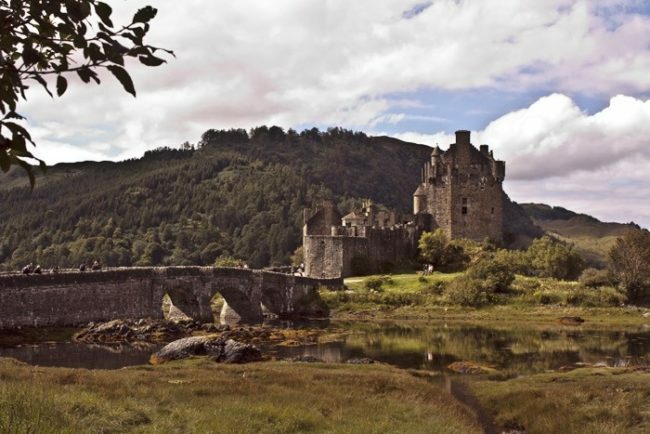 The last stop on day one of your tour is the famous Eileen Donan Castle, one of Scotland’s most photographed castles. 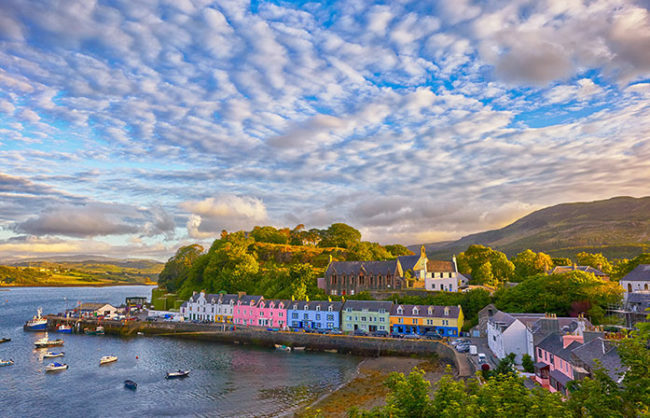 After you’re done taking photos, you will cross the bridge over to Skye and follow the coastline towards the island’s capital, Portree. You will be dropped off at your accommodation early enough for you to be able to explore the town. No matter what the weather, you will be ensured to have an adventurous day. 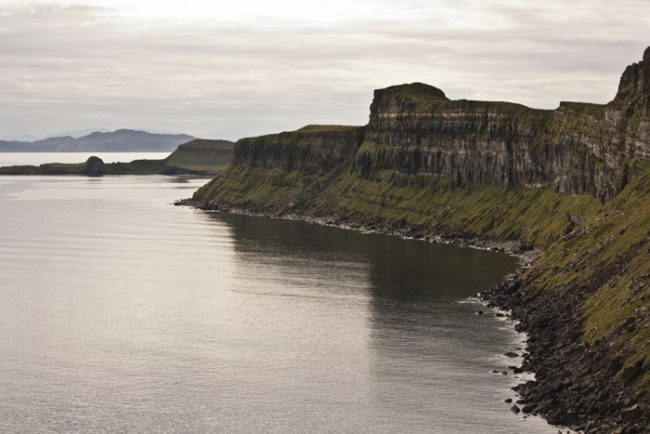 North of Portree, you can explore the Trotternish ridge with its impressive cliffs and rock formations, such as the Old Man of Storr, Kilt Rock and the beautiful mountain pass of the Quiraing. Go west and see the scenery change from rock outcrops to emerald green valley of Glendale. 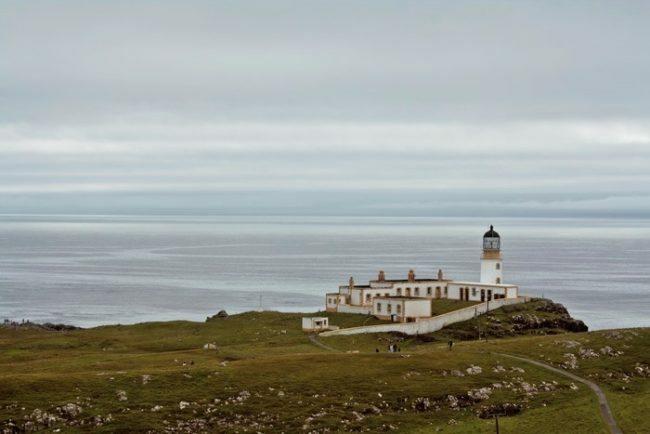 And then they change again as your journey leads you to the most westerly point on the island, Neist Point. Get your cameras ready, you may be lucky to spot some whales or even sharks. At the point, sits Dunvegan Castle, the 13th-century home of the Clan Macleod. 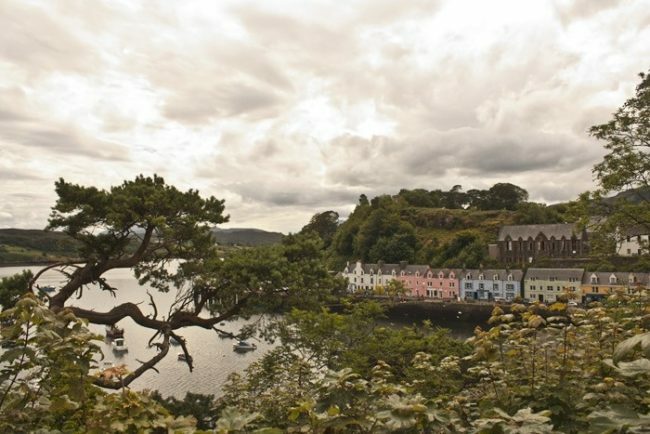 After a day of touring the island, return to your accommodation in Portree in the evening. As you make your way south through the Cuillin Hills and back over to the mainland, you will have a chance to view Loch Duich and, in case you missed it on the way there, there is another chance to see the Five Sisters of Kintail. You will be able to try to spot Nessie, while eating your lunch as the stop is on the shores of Loch Ness. Heading south again, you will travel through the Grampian mountains along Loch Laggan and pass by Dalwhinnie and on to Blair Castle. The last refreshment stop before arriving back in Edinburgh, you will explore one of the Perthshire villages before heading on past Perth, over the Forth Road Bridge and then back to Edinburgh.